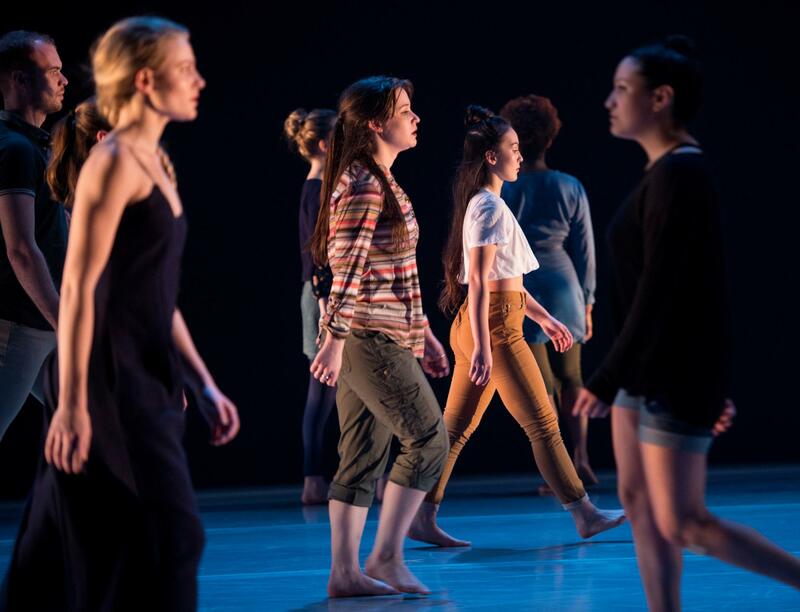 The 12 students selected for Dancers in Company each year get an in-depth look at what a career in dance performance could be like—and find themselves being challenged in new ways. 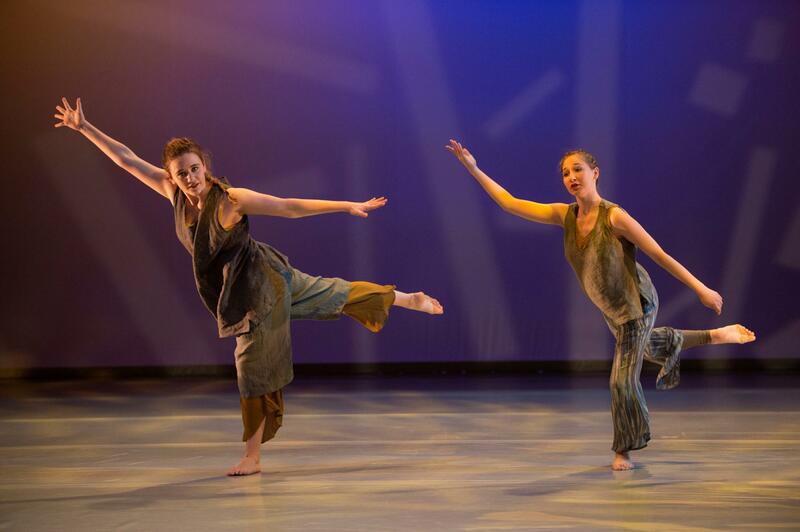 Click the thumbnail images below for a look at the dress rehearsal for Dancers in Company’s home concert. Photo by Tim Schoon. 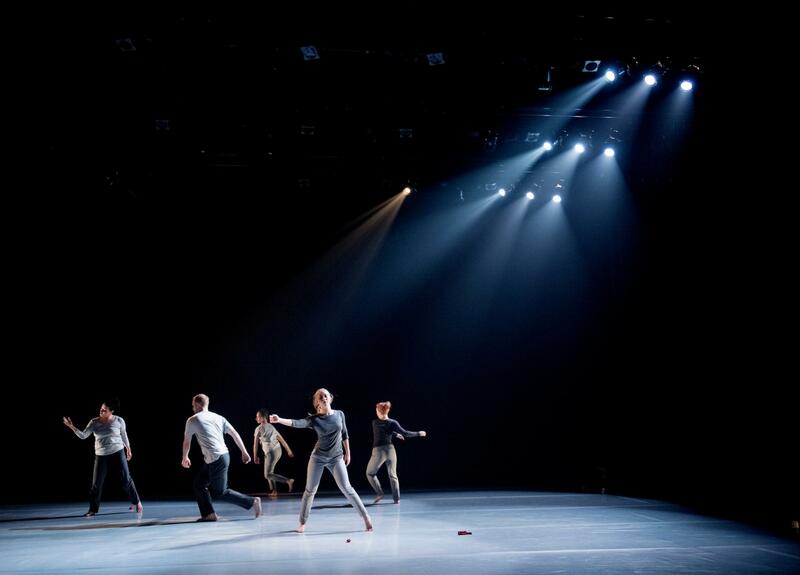 For 33 years, Dancers in Company has afforded University of Iowa dance students the opportunity to experience what it’s like to be part of a professional touring company. 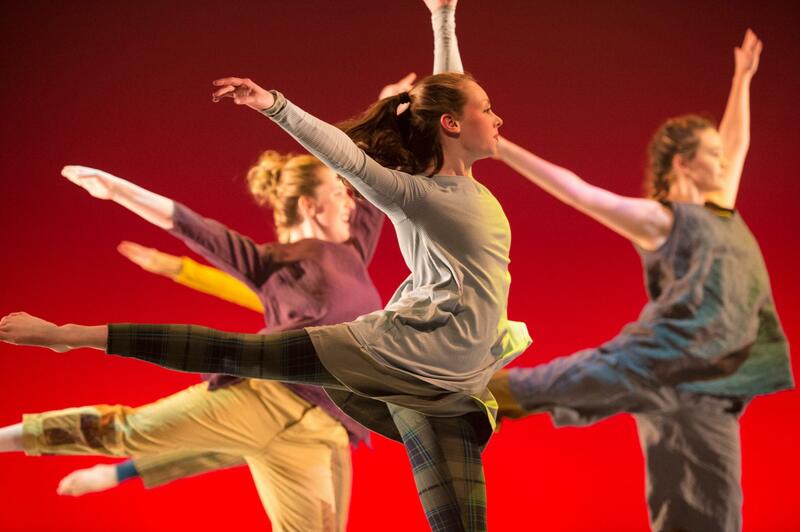 In the process, the student-performers get to share their art with audiences in towns across the state through performances, workshops, and demonstrations. 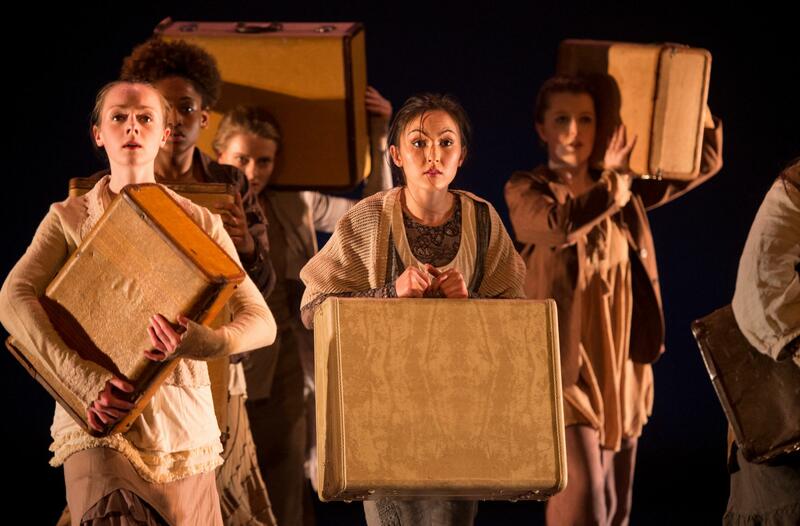 Dancers in Company Co-Director Jessica Anthony says the 12 students selected for the group each year get an in-depth look at what a career in dance performance could be like—and find themselves being challenged in new ways. 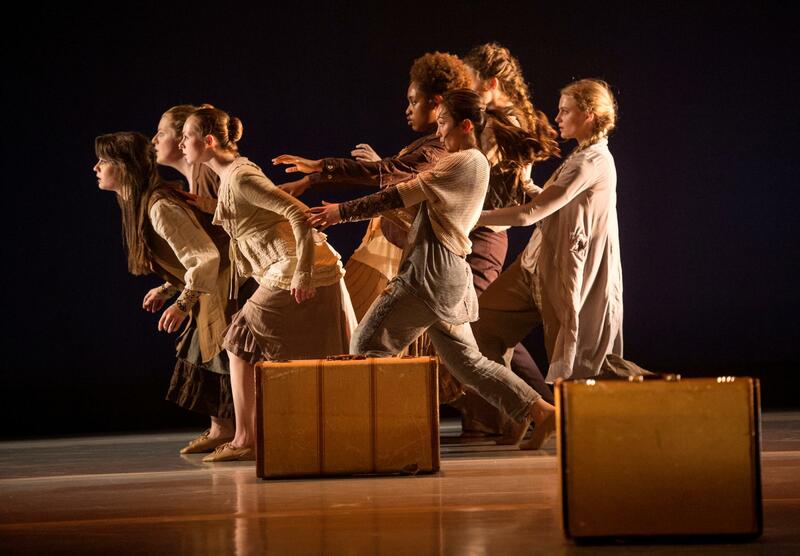 “Having a pre-professional experience means working with multiple choreographers, dancing in more than one work, going through the rehearsal process, and then taking that show on the road and performing in all kinds of venues,” says Anthony, who earned an MFA from the UI and is now a visiting professor in modern dance. Students learn the importance of adapting and adjusting their performances to their audience or to the size of the stage. They also are responsible for setup at each venue and finding out how to best use the stage available to them. Arianna Russ, a native of Milwaukee, Wisconsin, and the lone graduate student performing with Dancers in Company this year, has already danced professionally and knows the value this opportunity provides. “We’re hoping that as the dancers invest in the theme, they bring their own perspectives in a different way,” says Anthony. Though statewide performances don’t start until March, the group met weekly in the fall to discuss various reading assignments, world issues, and their own family and home experience. Exploring the theme and the students’ research, UI faculty—including Anthony and her co-director, Christopher-Rasheem McMillan—choreographed five of the six pieces performed during Dancers in Company’s three home shows at Space Place Theater Feb. 23–25 and on various tour dates across the state. 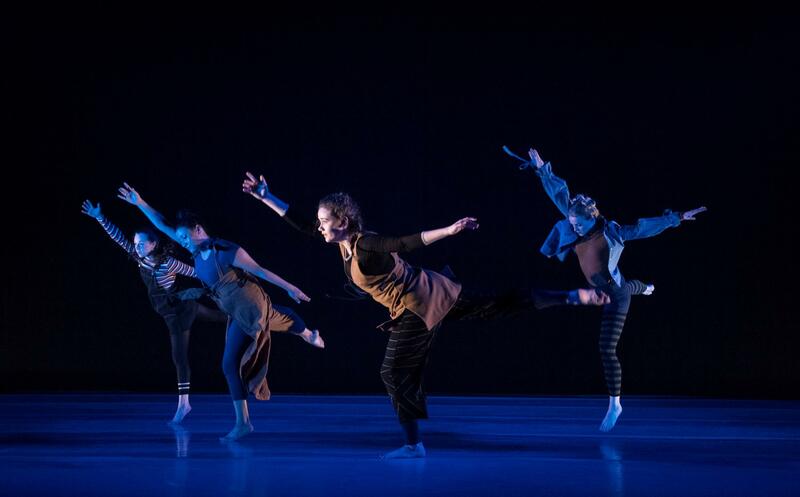 The dancers began rehearsals in November, spending up to three hours a night learning choreography and perfecting their performance for the stage. 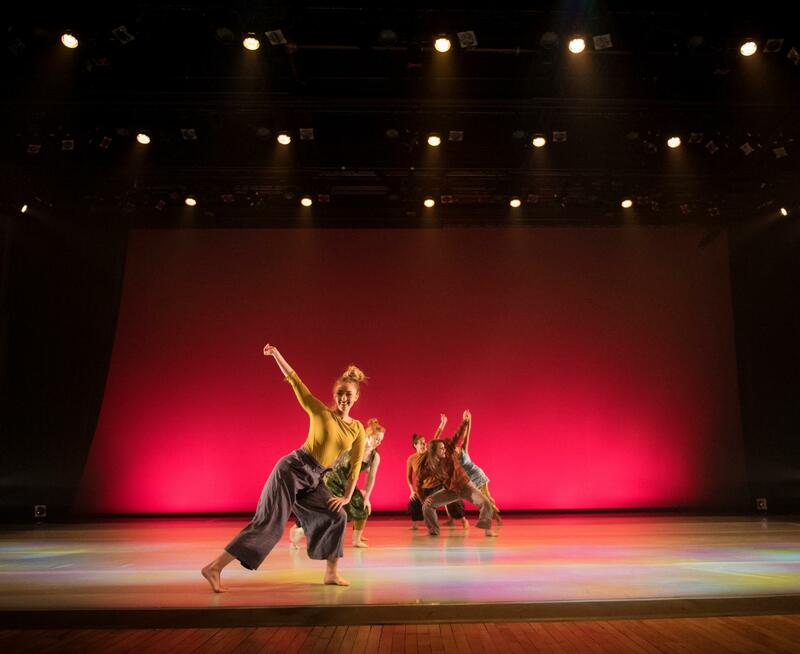 After returning for the spring semester, they started with a week of rehearsals with award-winning professional choreographer Jane Comfort, who adapted an excerpt from one of her original pieces for the company to perform on tour. 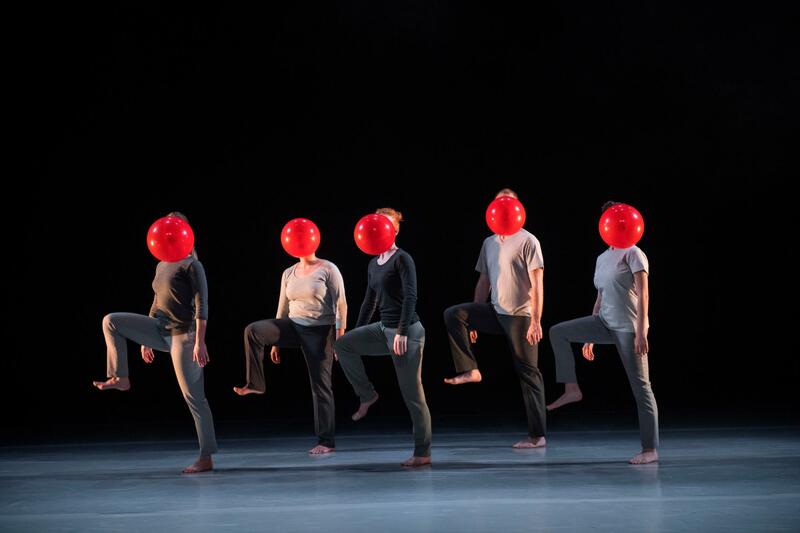 “(Jane) had such a prolific career in a really interesting time for modern dance, so it was really great to have her here to give her perspective,” says Anthony, who danced for Jane Comfort and Company for six years in New York City. This year, the dancers also have the benefit of working with McMillan, who is one of three visiting Grant Wood Fellows at the UI. He has performed with conservatories and professional companies in London and says he’s never seen a program that provides the same level of opportunity to undergraduates as does Dancers in Company. While exploring the lengths to which their technical skills can carry them, the students also get a sense of the importance of connecting with the communities in which they perform. 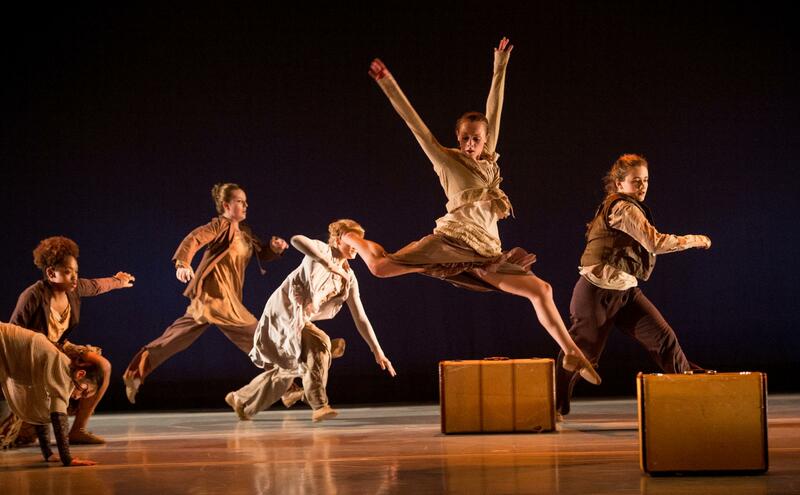 Working in partnership with Arts Share in the UI’s Office of Outreach and Engagement, Dancers in Company will connect with a variety of audiences, spanning many ages and backgrounds, across the state. The students already have taken part in some community workshops, including a few sessions working with at-risk teen girls. 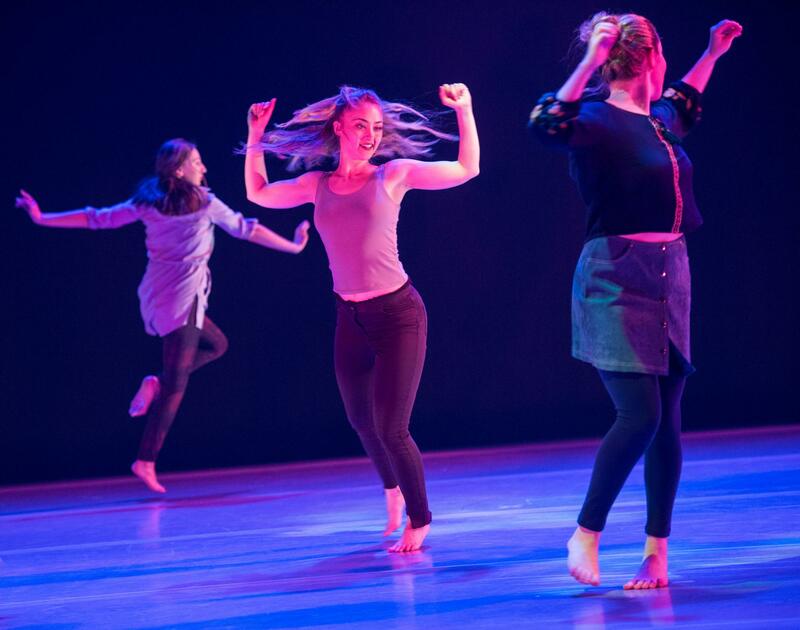 “It really was deeply rewarding to work with young women who have probably never experienced or had been shown dance and the body in that particular mode before,” says Lewis-Hill. Perhaps one of the most important elements of Dancers in Company is that it lets performers experience what their gifts and abilities can bring out in others. Russ, who helps schedule the tour as an Arts Share graduate assistant, says the emphasis on connecting with the audience in new ways comes from their co-directors.